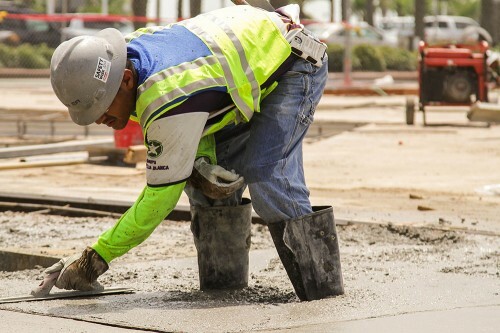 If you want the best, you need to hire the best! 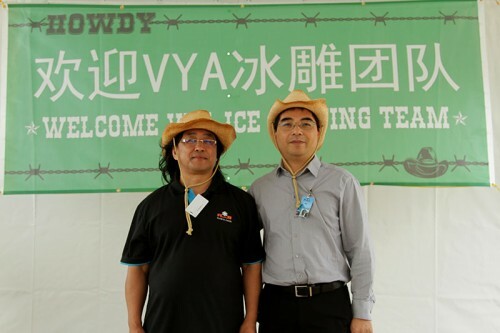 That’s why Moody Gardens traveled to Harbin, China, to recruit the award-winning VYA Ice Carving team. 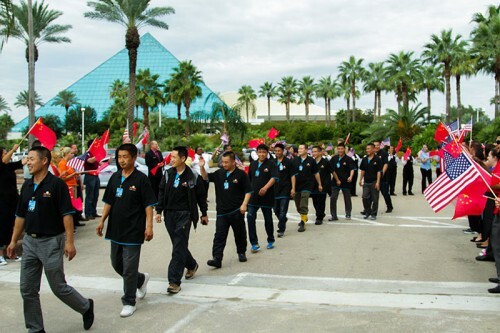 On Sept. 27, Moody Gardens gave an official warm Texas welcome to these 31 master ice carvers from China. 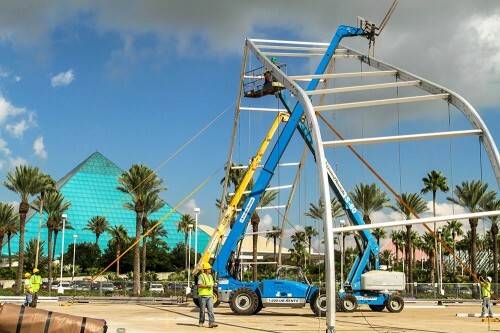 The carvers traveled half way around the world to Galveston where they will transform 900 tons of ice into towering and majestic works of art featuring the beloved underwater characters from SpongeBob SquarePants during the holidays. 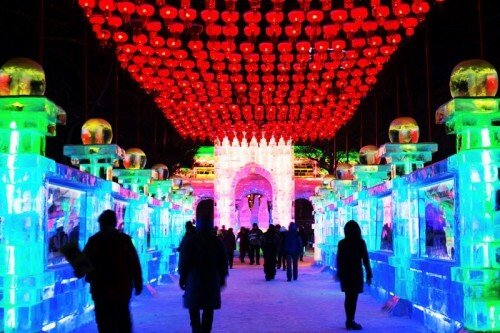 The conception of ICE LAND was inspired several years ago by the world’s largest International Ice and Snow Festival in Harbin. 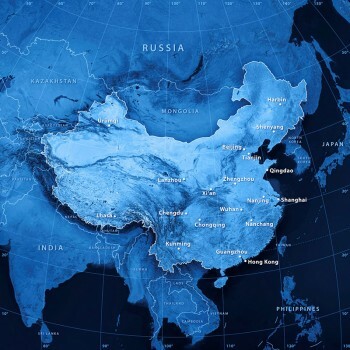 Known as the Ice City, over 3,000 of the world’s top artisans create a 100-acre walk-through Ice Park complete with thousands of immense ice sculptures made from millions of pounds of ice. 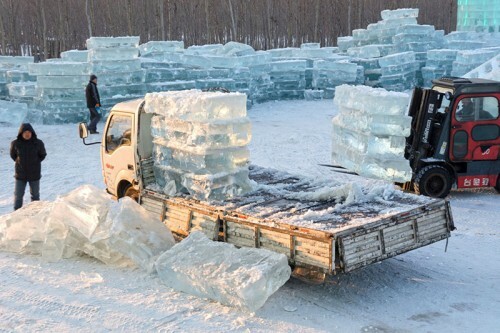 The temperatures in Harbin stay below freezing for almost half the year, so spending approximately 1,080 hours within the ICE LAND tent that is chilled to nine degrees could actually be a warmer option for these professional ice carvers. 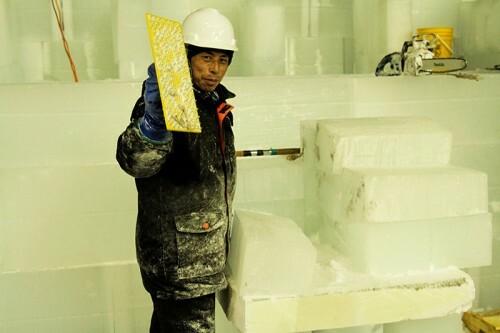 The VYA Ice Carving Team is led by Mr. Qui Guanghui, one of the top carving artists in the world. 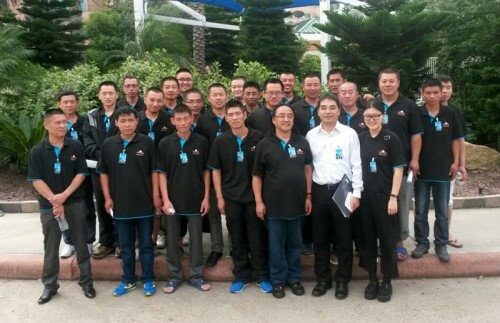 Immediately after the welcome ceremony, the team went to work. In a matter of hours, there was already a ton of progress from these incredible artists. Stay tuned for our next Creating ICE LAND Ice Sculptures blog post where you’ll get a behind the scenes look at the ice carving process. 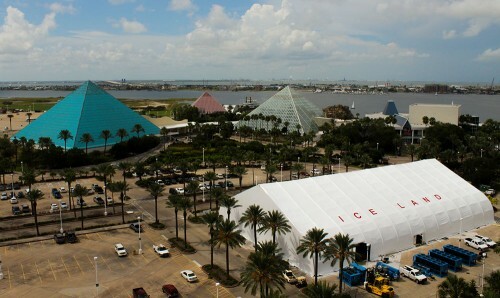 ICE LAND will be a frosty new addition to the Festival of Lights and other holiday attractions this year as Galveston makes its holiday transition into a Winter Wonder Island. 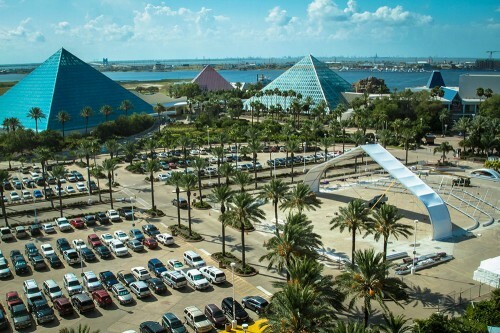 Admission to the exhibit is $26.95 for adults, $21.95 for seniors and $15.95 for children, and will also be included in a Moody Gardens Value Pass that includes admission to the various Moody Gardens attractions and Festival of Lights for $59.95. A two-day pass is available for $79.95. Courtesy parkas will also be distributed to each guest. Visit moodygardens.org/iceland for more information and to purchase tickets. 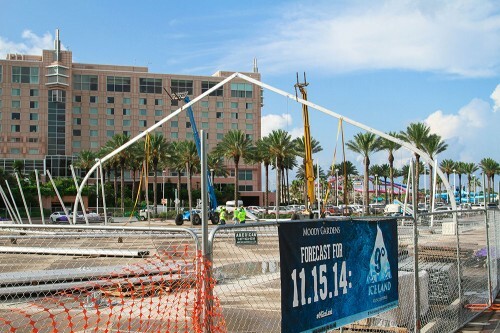 One of the biggest questions people have is how do you make it 9 degrees in Galveston? 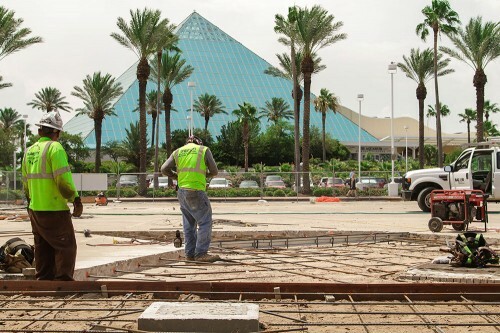 The answer is a lot of planning and a lot of hard work under the Texas sun. 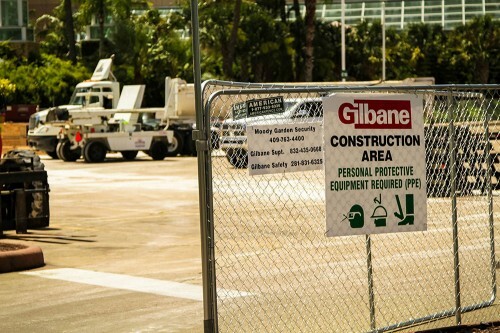 A skilled team from the Gilbane Building Company in Houston prepared for the construction of the tent for more than a year. There were four stages to the development process that will be executed by a team of roughly 48 people. 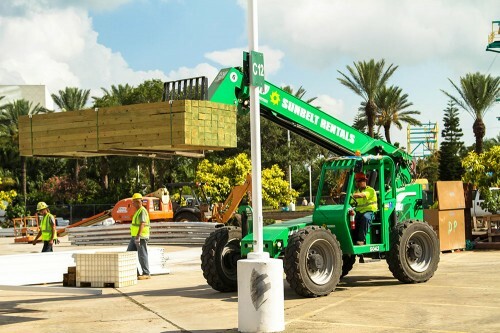 The first stage was pouring concrete footers to support the structure. 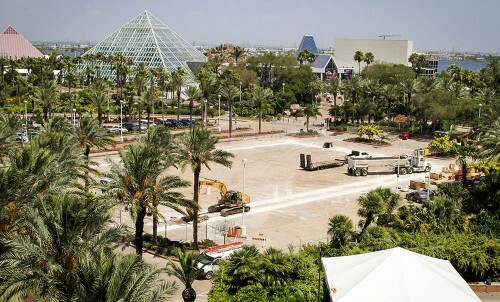 To make sure the space for the tent remained a usable parking lot for guests once the structure is removed in late January, the concrete for the footers was poured flush with the existing concrete so it was less noticeable and ensured that there is no damage to cars. 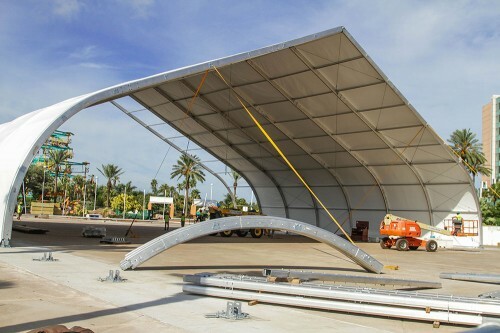 The next step was to erect the insulated tent. 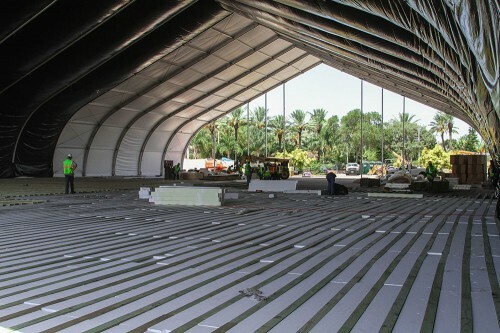 Then the flooring was placed to insulate the tent at its ultimate 9 degree environment. 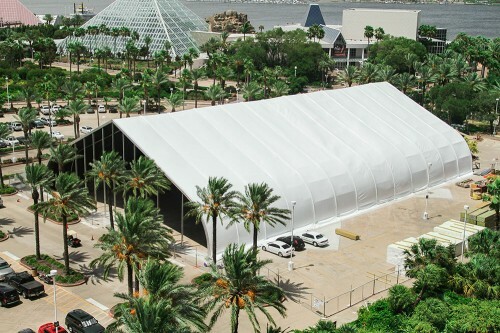 The finished product was an impressive 28,000 square foot tent that towered 40 feet into the air. 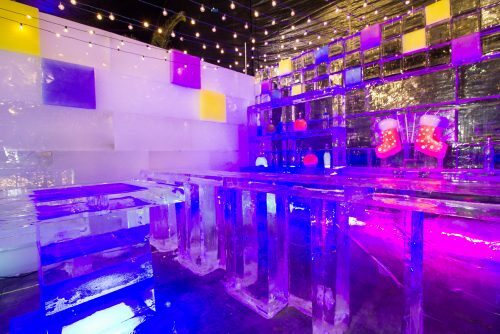 Stay tuned for our next Creating ICE LAND Ice Sculptures blog series! 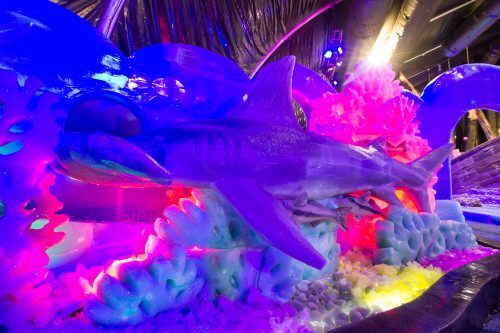 We’ll be getting to know the award-winning VYA Ice Carving team that will be creating the ICE LAND Ice Sculptures.